The idea of multiple parallel dimensions isn't exactly one that's surrounded by fresh topics of discussion, and yet given its implications, the conversations surrounding it never seem to grow old. It makes sense; you're talking about a concept that promises an infinite amount of possibilities, many of which have been tackled within the horror genre. Poltergeist, From Beyond, and more recently Coherence have touched upon these possibilities in various ways; ghosts and the afterlife, aliens and the third eye, and finally time and the presence of a doppelganger. This last concept in particular bears striking similarity to Heath C. Michaels' darkly affecting The World Over, a short film that juggles poignancy and horror. The film wastes no time in digging its hooks, pulling you into a building mystery that begins with the discovery of an old fashion skeleton key, one seemingly beckoned by unseen forces. It isn't long before multi-dimensional doors are opened, and what starts as an embarkment of curiosity, quickly turns into a violently desperate struggle for escape and survival. 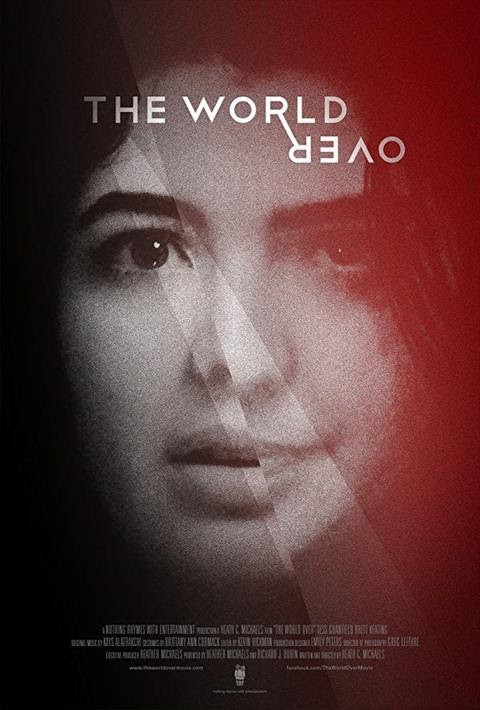 The World Over intelligently leverages loss to catapult the narrative into the realm of dark thriller, adding emotional weight and viscerality to the short run time. Director Heath C Michaels describes the film as a proof of concept for something grander, but truth be told, this feels complete. There's at least enough here, by way of compelling concepts, that allows for plenty of audience engagement. Without giving anything away, grief, rage, selfishness, cowardice, fear, and love are covered (by the two leads) at various points in the story, each one acting as a tossed stone into the space-time waters, sending ripples through each connected dimension. Every action feels significant and provides the film with a healthy bit of unpredictability (and while not nearly the same, I'm still reminded of that one Simpsons gag where Homer recklessly travels through time). The World Over may be a retread of various themes tackled under the umbrella of multi-dimension or, the multiverse. Yet, its ability to juggle and meld some of its more compelling ones while framing them with horror elements, make for a very welcome addition to the table of discussion. And if Michaels is serious about further building upon it for a feature length film; all the better for us. Keep an eye on the news section of the official THE WORLD OVER website for news on its festival run schedule. You don't want to miss your chance.